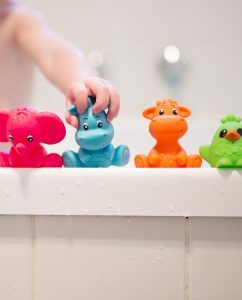 Rub-a-Dub-Dub fun in the tub! 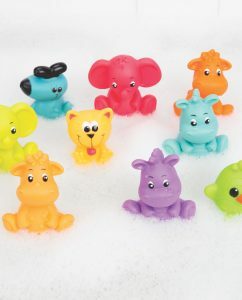 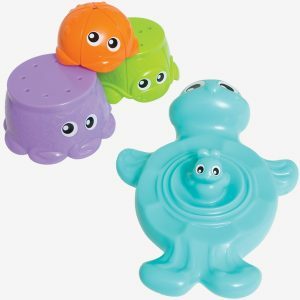 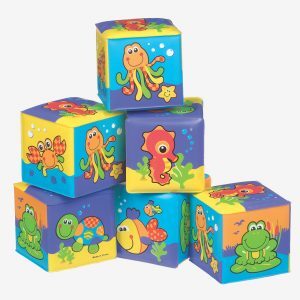 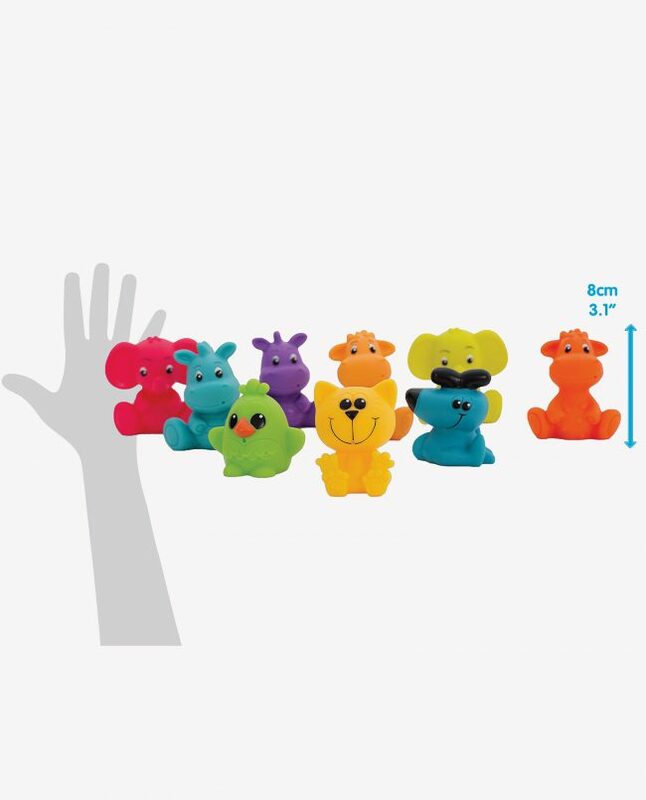 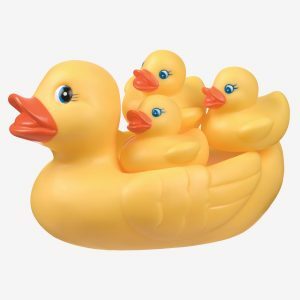 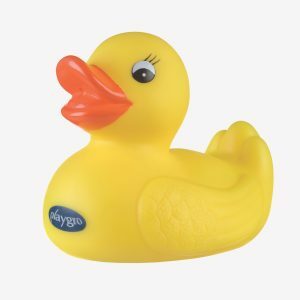 Simply squeeze these bath toy squirtees to fill with water then squeeze to squirt for fun water play. 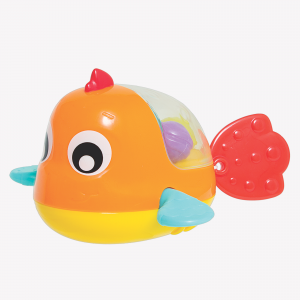 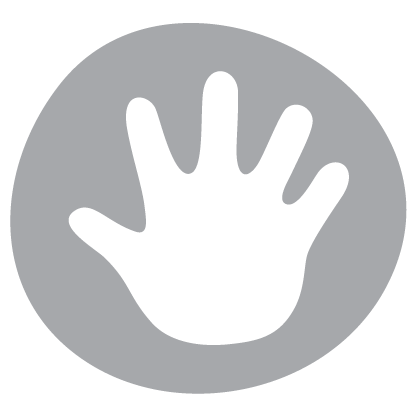 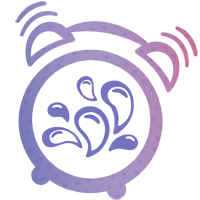 The bright and vibrant colours stimulate baby’s visual senses and baby’s fine motor skills will be exercised through touch and squeezing. 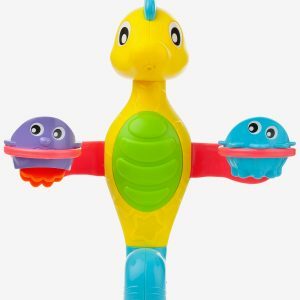 These jungle animals will come to life for baby during bathtime with this bath squirtee set.